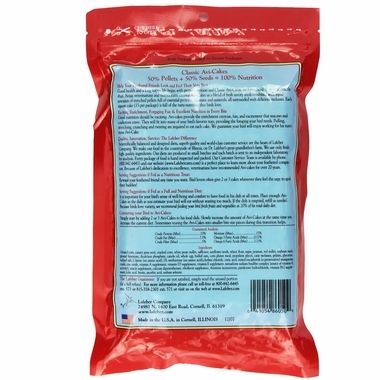 Lafebers Classic Avi-Cakes Gourmet Bird Food for Macaws and Cockatoos is a nutritious bird food developed to stop birds from just eating seeds. Avi-Cakes are half seed and half pellets, a healthy alternative to loose seed and bound by a sweet molasses glaze that birds find irresistible. Designed to offer a fun, stimulating eating experience that makes it easier to get your bird eating right. 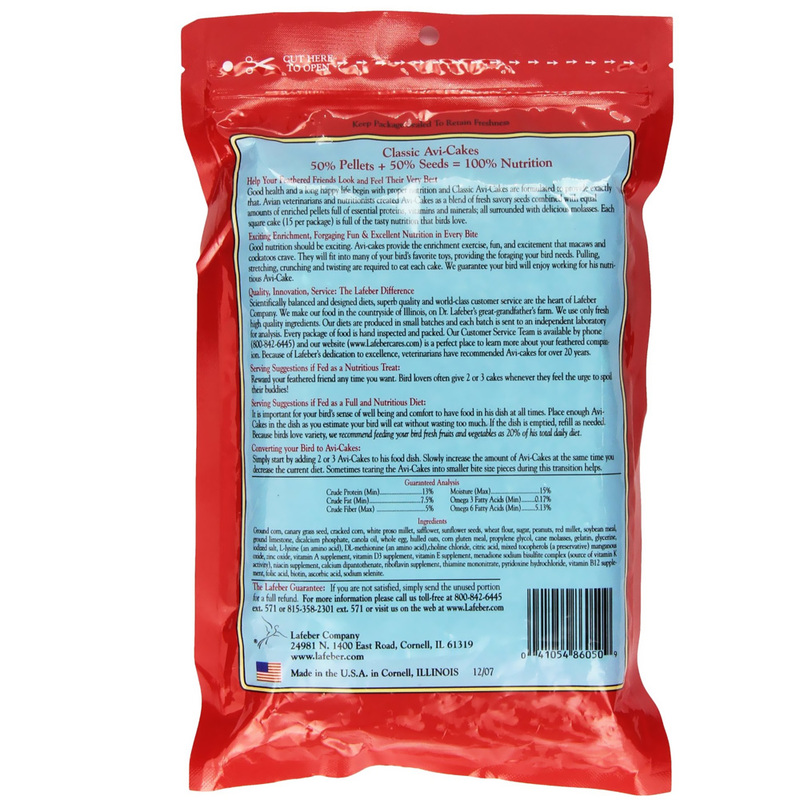 Each bag of Avi-Cakes contains 15 individual squares to make feeding convenient. You may feed as a complete diet, used as a conversion diet or simply feed as a nutritious treat. Easy, fresh product and arrived on scheduled, what more can you ask for? 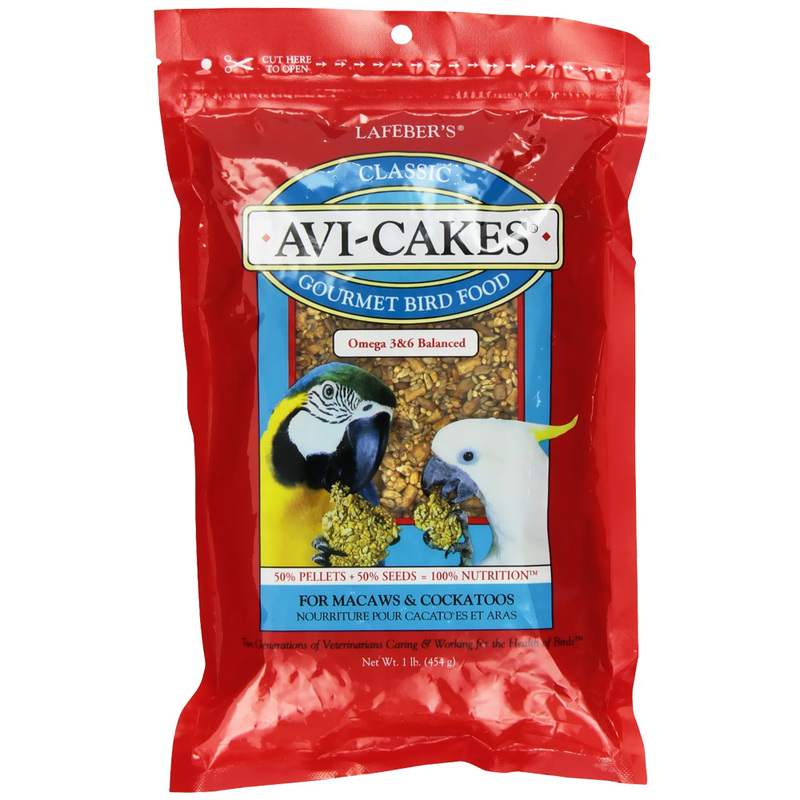 This Avi-cake food for Macaws&Cockatoos is the best overall because of weight (1#) and price. From our smallest, Lemon the Parrotlet; to the biggest,Windy,the Harlequin, and all in between...they just love Avicakes!